Follow the Whole Tour HERE. Also I am giving away an ecopy of Beyond the Rising Tide below! 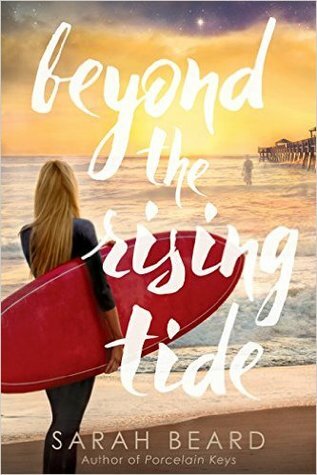 Beyond the Rising Tide by Sarah Beard. Publication: June 14th 2016 by Sweetwater Books. WOW! Just Wow!! I didn’t want to read this. I mean when a person is dead they’re dead! How can a romance survive that? But I really liked Sarah’s first book, so I wanted to see what she would do with it! Let me tell you, she put some major twists and turns so that whenever I thought, “I see where this is going”; she would take you on a detour! Then the emotional rollercoaster I felt was overwhelming at times. I think there were instances when sacrifices were made and were done so selflessly that it would overcome me and I would sob. Yes, I ugly cried! There was a lot of sadness too and it was emotionally draining! Don’t get me wrong, I loved it! There were happy moments too, to be sure. Then her description of what happens after we die is very sweet and you see people still struggle with choices and feelings of worth. But I just felt a lot of emotions! I mean I read books all the time that give me emotions but something about Ms. Beard’s writing that opens my heart. Sarah Beard has some mad writing skills!! I liked Avery. She was mature and both dealing and not dealing with life. Her mother had separated from her father. Her mom has some mental issues and she isn’t always making good choices and Avery deals with the consequences. Avery works at her father’s chocolate shop. Let’s also say she is a workaholic. She is helping her dad but is also hiding behind work so as to not live her life. Six months ago, Avery was saved by a boy who jumped in the water to save her from drowning. In the process, he died. Now, Avery is just a shell of her former self. She doesn’t go out and do the daredevil things she used to. Now she just thinks of the boy who saved her and drowned doing it! Kai is the boy who died. His mortal life was sad. Kai was a good kid who got dealt a bad hand in life. He has a job in the afterlife healing people on Earth he is assigned to. So he peeks in on Avery a lot. He has been watching her for six months. When an opportunity presents itself to have a mortal body for a time, he takes it without thinking twice of the consequences. When Kai sees Avery, he can’t tell her who he is. Those are the rules. He wants to see her happy and would do whatever it takes to get her to live life again. The road to happiness is paved with good intentions. But it’s a bumpy ride. Kai and Avery go through a lot together. And there are consequences to be paid. So don’t think you know how it ends because there is so much more if you will just read it! Oh and when you do; grab some Kleenex! Yep, that’s all I’m going to tell you about the book. If you want a read that can grab all your emotions and make you think at the same time than go no further. This is it! I love what she did with Kai and Avery. I love how she fixed my thought of I know where this is going and how we are forever not just until we die! I’m off to buy a few copies for friends and family! 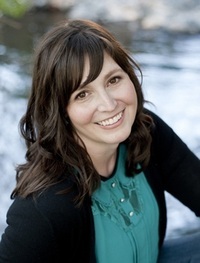 I think I found another author that I will auto buy whatever she writes! Ohh great review! This one really does looks and sounds like a very emotional book but also very intriguing. I really want too know what happens at the end now after reading your review. I will most definitely will check out this book hopefully soonish! Thank you for your great post. This looks like a great book! I've been wanting to read it. Excellent review! I also enjoyed reading the excerpt. This book sounds like such an interesting and intriguing read! Looking forward to checking it out!